PT Pelindo Daya Sejahtera - PT PDS is a rapid growing manpower outsourcing services company in Indonesia, based in Surabaya East Java. PT Pelindo Daya Sejahtera is a subsidiary company of state-owned port operator PT Pelabuhan Indonesia III (Persero) or Pelindo 3 Group. 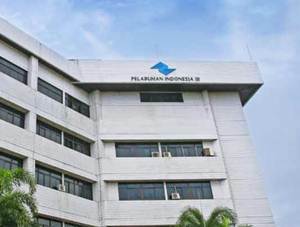 According to Pelindo 3 Group's Annual Report 2014 as cited by JobsCDC.com, PT PDS is 90% owned by PT Pelabuhan Indonesia III (Persero) and 10% by the employee cooperative of Pelindo 3 Group. PT Pelindo Daya Sejahtera operates primarily as an ousourcing provider of Pelindo 3 Group. The Company is based in Surabaya East Java and its head office is registered at Jl Perak Timur 480 Surabaya. PT Pelindo Daya Sejahtera was formed on 19 March 2014 to manages the outsourcing labors in PT Pelabuhan Indonesia III (Persero). Previously, outsourcing labors at PT Pelabuhan Indonesia III (Persero) managed by Koperasi Pegawai Pelindo III. PT Pelindo Daya Sejahtera now has 1 subsidiary: PT Tanjung Emas Daya Solusi which engaged in tally services. Male, maximum age of 35 years old on 1 December 2016. Education minimum Senior High School orequivalent (SMA/SMK). Not afraid of height and no color blind. The candidate with prior experience in the field of Heavy Equipment Operator is preferred.Placement at Banjarmasin (preferably local resident Kalimantan). Application should contains the below documents : CV, copy of Indonesia KTP, latest photograph 4x6 (1 sheet), copy of Diploma and transcript/SKHU, copy of SIO, application letter, and copy of SIM B1. JobsCDC.com now available on android device. Download now on Google Play here. Please be aware of recruitment fraud. The entire stage of this selection process is free of charge. PT Pelindo Daya Sejahtera - SMA, SMK Operator RTG Pelindo 3 Group December 2016 will never ask for fees or upfront payments for any purposes during the recruitment process such as transportation and accommodation.